Let's start with the numbers. 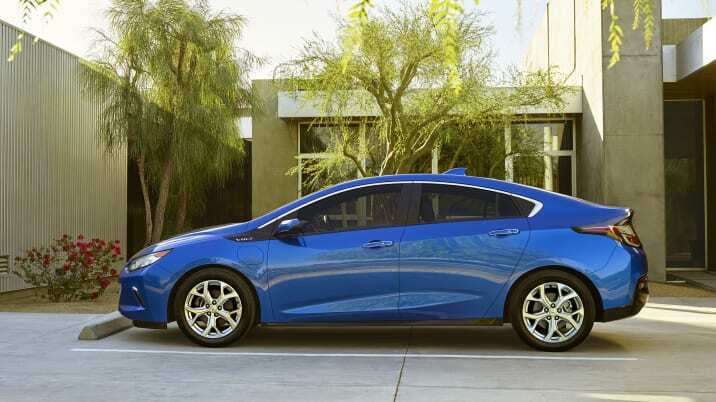 The 2016 Chevy Volt will have an all-electric range of 50 miles from a new, 18.4-kWh lithium battery. It will get 41 miles per gallon (combined) once the battery runs dry and have 102 MPGe. Oh, and it has five seats, sort of. To compare, today's four-seat 2015 Volt has a 38-mile range from a 17.1-kWh battery in a powertrain that offers 37 mpg and 98 MPGe. So, across the board, there are notable improvements. Now that that's out of the way, let's talk story. 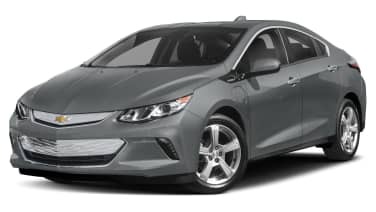 General Motors will unveil the new Volt at the Detroit Auto Show later today, but it's been talking about how this new version – the first major plug-in hybrid vehicle to get a serious redo in the modern era – was crafted with reams and reams of data from first-gen Volt customers. At a preview event for journalists last week, GM executive chief engineer Pam Fletcher told Autoblog that these owners "gave us the recipe" to make the second-gen model. At the top of the request list was more range (check), more "fun-to-drive" behavior (check?) and a smoother and quieter experience (we'll assume a check here, given that the new 1.5-liter four-cylinder – the first North American application of this new engine family – should offer more power with less noise than the previous 1.4-liter, four-cylinder powerplant). Other customer-driven changes in the new Volt include a different place to store the charging cable (in the side of the trunk instead of under the load floor) and a new brake system with improved blended regenerative braking feel as well as driver-selectable regen levels. The requested 50-mile range comes from a new, lighter battery that has increased capacity from fewer cells (192 vs. 288) and a simplified control architecture. Along with the new battery, the electric drive unit is a two-motor deal that is up to 12 percent more efficient and 100 pounds lighter, while also being "tremendously smaller," notes Fletcher. It offers 294 pound-feet of torque and a maximum 149 horsepower of "motoring power" delivered to the wheels. GM says it has worked hard to reduced the amount of rare earth materials in these motors, and one of them doesn't use any at all. The new powertrain offers improved acceleration times, as well. The 2016 Volt can go from 0 to 60 miles per hour in 8.4 seconds, a seven-percent improvement, while the 0-30 mph time has been improved by 19 percent, down to 2.6 seconds. The new Volt is more conventional looking, but certainly not completely ordinary. GM says the car's "eco attitude" is inspired by athletes and windswept sands, but we mostly see an emphasis on improving the first-gen Volt's wind tunnel aerodynamics while tacking towards the mainstream. The LED daytime running lamps on the outside front corners widen the car's apparent stance when it approaches, and in person, the car looks lighter, too. On the inside, things have been toned down dramatically. Gone is the frustrating touch-sensitive panel that the designers plastered over the infotainment area in the first Volt. It has been replaced by a more traditional HVAC and infotainment system. We assume that you're noticing the trend here – the way GM is mellowing out the futuristic vibe of the first Volt even as it makes this second generation better. The idea is to be able to continue to attract early adopters while also targeting a broader audience. Finally, for now, let's talk about the fifth seat, which requires the person sitting in the middle rear seat to straddle the battery tunnel. At the preview event, we were able to sit in the back seat alongside two other adult males, and let's just say that that everyone was more than happy to get out after barely three minutes cramped together. 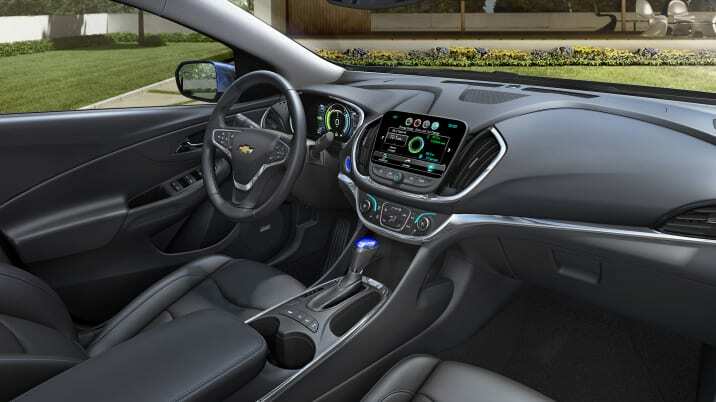 While the Volt is technically a five-seater now, the lack of a center headrest and the way that the rear bench is shaped to give extra comfort to the outboard passengers means that the middle person needs to sit on a cushiony hump with less headroom. Said another way, it's clear that this fifth seat is designed purely for kids or very short rides. There will be more information on the Volt coming at the official press conference later today. When that information drops, we'll have it for you here, along with live pictures from the show floor. Stay tuned. Note: Information shown is current at time of publication. Please visit our GM Media web site at http://media.gm.com for updates.